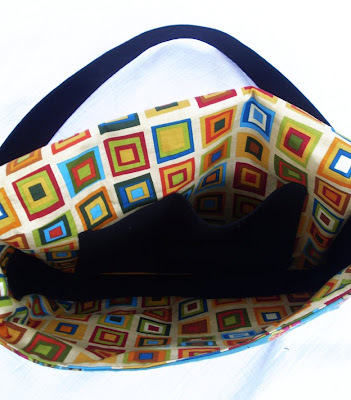 .... this is a pretty fabulous bag I've just made. I agree, very fabulous. 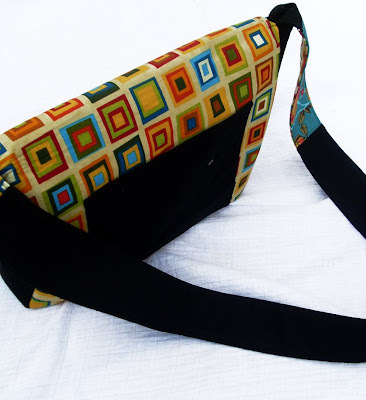 I just adore that fabric with the squares. Looks great with the black. gorgeous fabric! what is it? You can definitely say it. It is very fabulous. 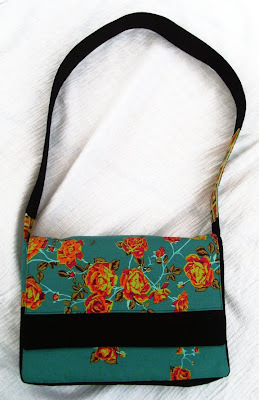 The roses fabric is so striking with the black strap. Have a great weekend. Happy bag wearing. Love that it is reversable...Great Job.!! For sure! Gorgeous! Looks like you have had a very happy stitching day. Good for you. I can see you used some of your new purchases. Brave to cut into them so soon! 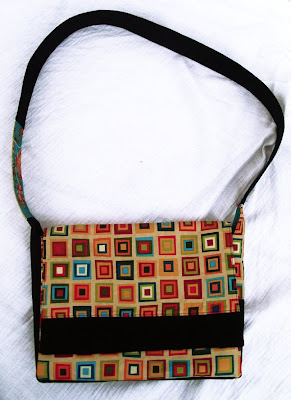 Reversible = fabulous, esp. with that square fabric! It's ab fab! Great choice of fabrics. 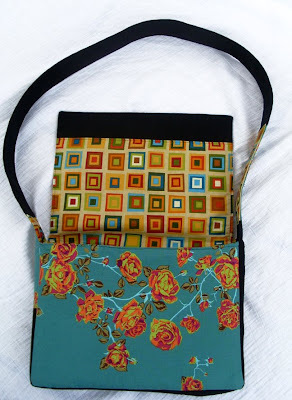 Lovely bag, lovely fabrics and perfect pattern placement! It is fabulous! And with that great fabric. LOVE it! Awesome back Andi. Was it from a pattern? Wow Love that bag. The fabrics work so well together! It is fabulous - great bag! love that rose fabric! it's gorgeous! and your bag is super!